NRF 2014 Day 0, We are ready! This is the most exciting time of the year. It’s NRF! This is when we show you all the stuff we worked on and this time we have a lot more! Day 0 is just the day before the show starts and that is when we get our demo devices setup and make sure we are ready to rock and roll. I should say “we are a lucky company”. We were able to get our devices running once they were connected to the internet. That’s it. That is what happens when you are a cloud company and got all of your worries push into XOMNI Cloud. Setup is just a matter of deploying the client application. Rest is on us, in XOMNI Cloud. You might wonder who we are presenting at in the photo above. They are our friends from Microsoft. 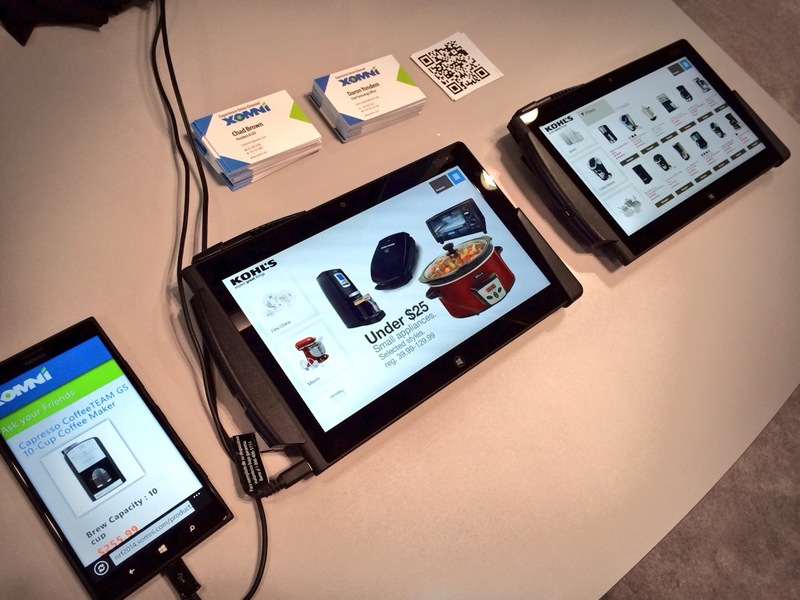 We are happy to be part of their booth at NRF 2014 and we made a short introduction of what we have this year to all MSFTEs. What is that big screen in our booth? Check out below a vine post from our CTO showing our Magnetic3D integration. It’s much more attractive when you see it in person instead of a video. That’s why you should come to our booth now! That’s not all we have for now. More will come tomorrow. Stay tuned! We will keep blogging during the big show! This entry was posted in Announcements and tagged Expo, Magnetic3D, NRF on January 13, 2014 by XOMNIAN. My guess… several years away. Let’s talk about today! 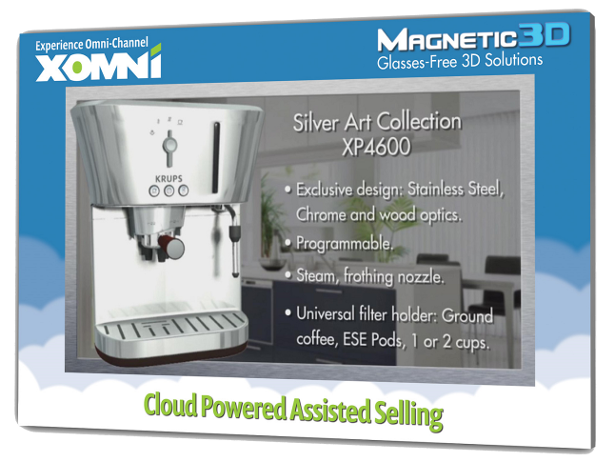 XOMNI and Magnetic 3D show off Glasses-Free 3D in the Retail environment at NRF 2014. XOMNI is excited to be in the Microsoft booth for the umpteenth year talking about retail experiences that matter, are real and make a difference today. This year we have two spots in the both. 1) Assisted Selling and 2) Customer Highlight – nope. still can’t talk about the customer. We hope you can make it to NRF and share in the fun! If not, stay tuned. We will be talking more about it next week. In addition, we will be releasing Self Provisioning for XOMNI and a new Developer Portal which together will make everything demonstrated at NRF available to the masses. Exciting times for XOMNI, our Channel Partners and Retail as a whole! This entry was posted in Announcements and tagged 3D, Assisted Selling, Magnetic 3D, NRF on January 10, 2014 by XOMNIAN. This year, XOMNI will be back at NRF demonstrating the power of the XOMNI Cloud and associated Online Services via several new experiences. Be sure to stop by Microsoft to see an application running on the SUR40 + PixelSense and Wincor Nixdorf to experience the PolyTouch with iOS Passbook integration. 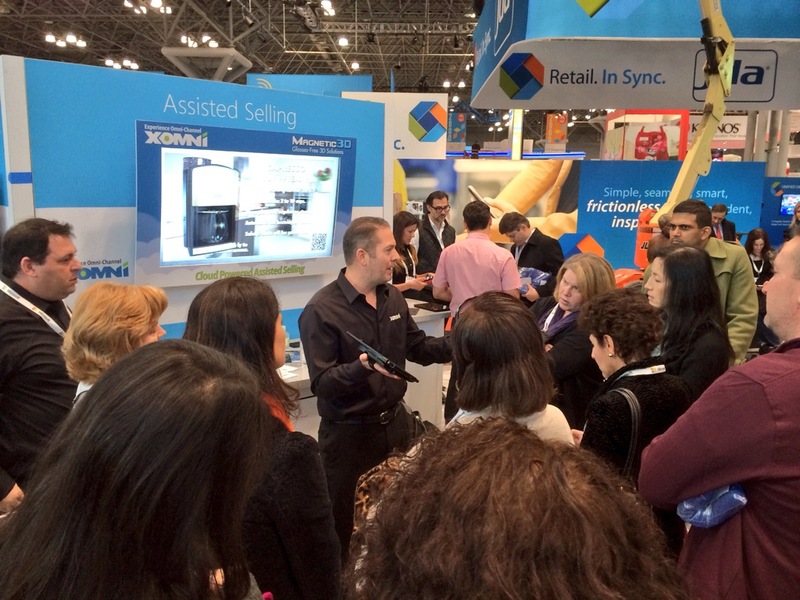 Want to kick-start your Omni-Channel initiative while at NRF? Daron Yondem our CTO will be there with a couple design and development partners. 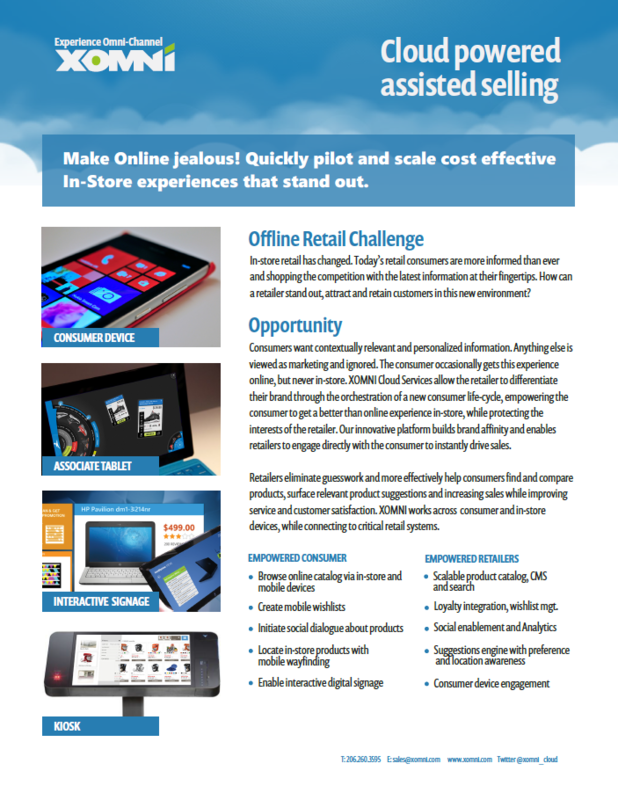 Request a meeting and let us help you get a jumpstart on assisted selling and in-store experiences for 2013! Be sure to follow us on our new twitter and facebook accounts for real-time updates. This entry was posted in Announcements and tagged NRF on January 8, 2013 by XOMNIAN.